The Mayor is doing what he can to overcome ill will among police. It’s probably too late—in just a year he’s lost his department. This is a disaster for a city that elected de Blasio with seventy-three per cent of the vote, and that also—judging by the wide and deep sympathy expressed after the execution of two officers in Brooklyn—generally supports its police force. Patrick Lynch, the demagogue who leads the Patrolmen’s Benevolent Association, is playing a very dangerous game by inflaming his rank and file, politicizing funerals, countenancing an unprofessional work stoppage (imagine aggrieved nurses refusing to treat patients), and laying the two officers’ murders at de Blasio’s feet. If New Yorkers are forced to choose between the Mayor and the police, the result—already showing up in polls and public discourse—will be a racially polarized city. If the police who turned their backs on the Mayor imagine that this confrontation will bring the city around to their side, they’re deluded. Bratton does not need to turn against his own legacy – nor does he need to defend it aggressively. The consensus against allowing crime rates to go back up is overwhelming. What Bratton needs to demonstrate is that he has control over his department, and that he is committed both to keeping crime low and to reducing the perception that the police are an oppressive presence. Which, however, genuinely represents a change of mission. It’s implicitly admitting that driving crime rates ever-lower is no longer the overwhelming priority – that the “change” goal is to lighten the police footprint. A change of that sort could very well be demoralizing – even threatening – to the NYPD. But Bratton surely remembers that CompStat itself was threatening when it was introduced – it meant telling beat officers that the computer knew better than they did how they should do their job. 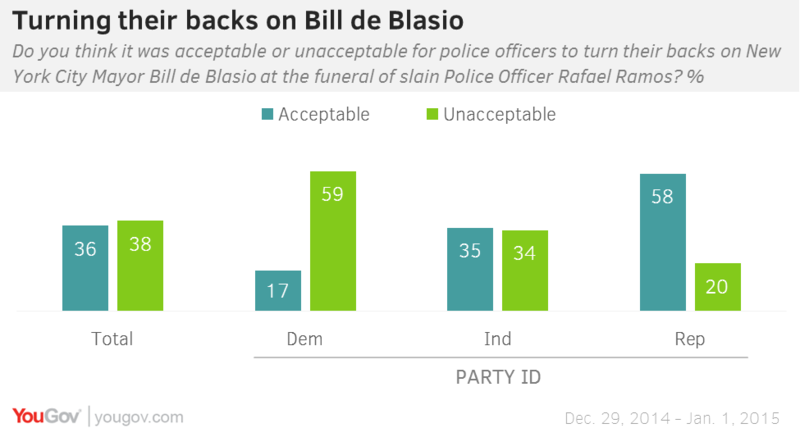 And despite the evidence of racial bias in New York City policing, the majority of people who disapprove of how the NYPD is doing its job don’t actually “hate” or “despise” the NYPD. They just desperately want it to be reformed so that bad policing is documented and punished rather than being ignored or covered up. Conservatives could argue that race isn’t actually the core of the problem, that the culture of unpunished misbehavior in the NYPD is driven by, say, the tribal mindset documented by Frank Serpico much more than any deliberate desire to disadvantage blacks. But too many NYPD defenders refuse to acknowledge widespread misbehavior of any kind. In 1971, NYPD officers shot and killed 93 people, which works out to 12 fatal shootings for every million residents. In 2013, by comparison, 8 people were fatally shot by the police, or one fatal shooting for every million residents—a decline of more than 90 percent. Also in 1971, 12 New York City cops were shot and killed—the same number as in all of the last fifteen years put together. Also, police-related violence in New York isn’t low just in relation to the city’s historical rates; it’s low compared to the rest of the country. Previous Previous post: Is Christie Too Liberal To Win?